Today, you are in luck – we have a bonus post for you. 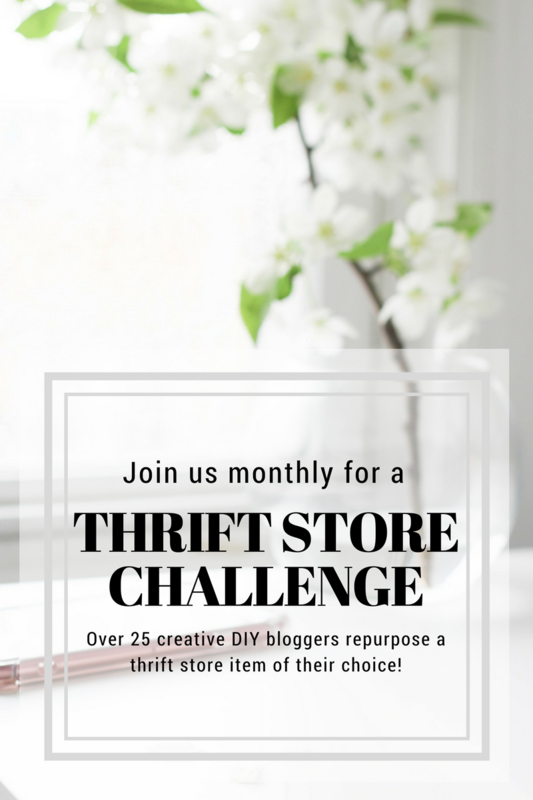 Normally, our posts go up Monday, Wednesday, and Friday, but we are participating in the monthly Thrift Store Upcycle Challenge so you get an extra post this week. Wanna know what’s funny about this project? Neither The Mister or I are coffee drinkers, but when I was thinking of an upcycle for this thrifted watermelon sign- a coffee cup is what came to mind. So this just might be gifted to someone down the road. This little watermelon sign was a Goodwill 50% off find. It was a whopping – $1.50. 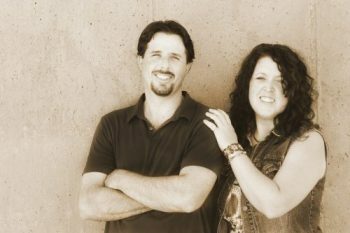 *Affiliate links used to show the exact, or similar, products used in this project. You can see our full disclosure policy here. With pliers, the wire was removed from each side. 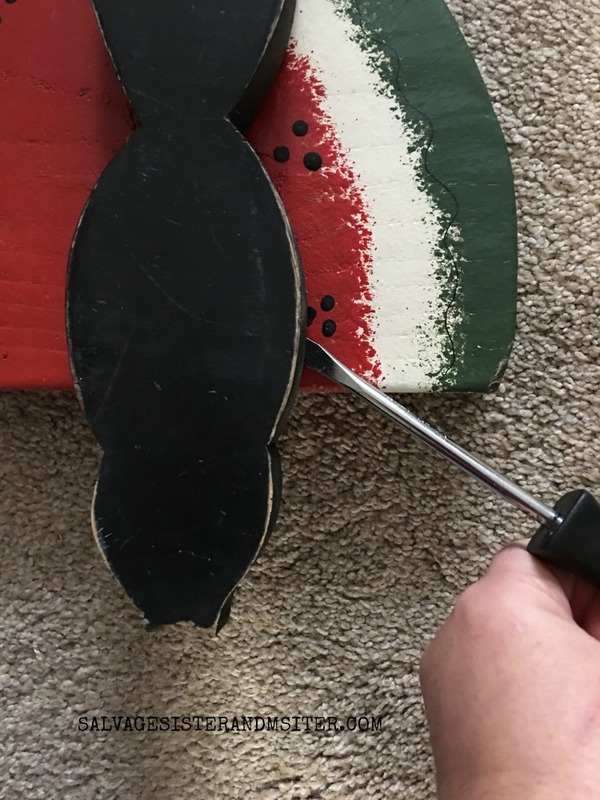 The crow was taken off with the screwdriver prying between the two pieces. The piece was then sanded, using an orbital sander, to get down to the wood. Note – A few spots of paint were left to provide a bit of rustic look to it. A tac cloth was used to remove any dust. 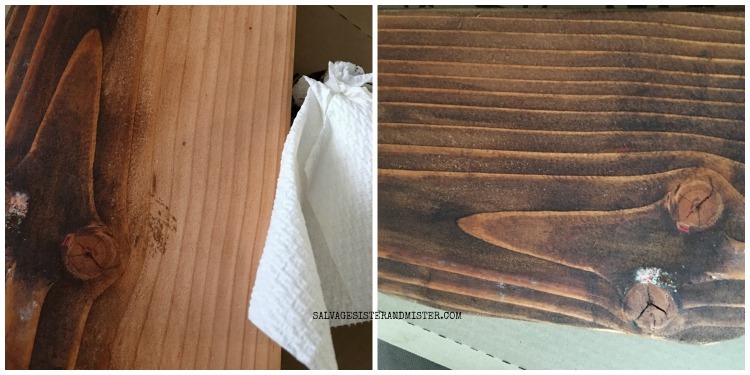 With a paper towel, the stain was used all over the wood – let dry for at least 8 hours. Using an example of the writing, a white pencil was used to lightly free form the saying on the wood. Traced over the pencil using the paint pen. I’m, obviously, not a perfectionist so if you want perfect letters, you may want to use a stencil. 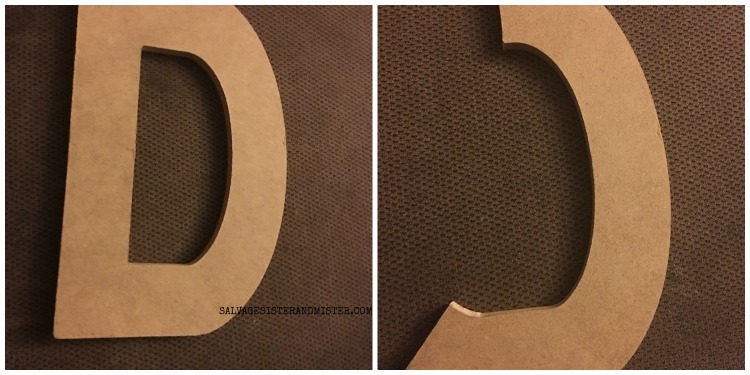 The D was cut, using a coping saw, to get the angle need for the handle. 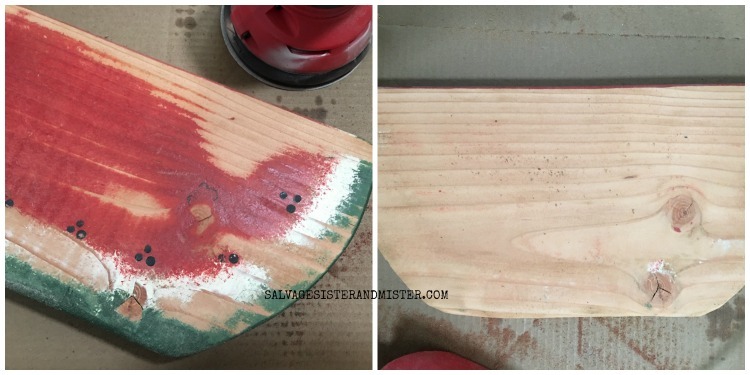 Where the handle would be glued on, the area was lightly sanded to get the glue to adhere. If desired, a picture hanger could be added to the back to hang on the wall or you can use the 3M Command Strips – Velcro. 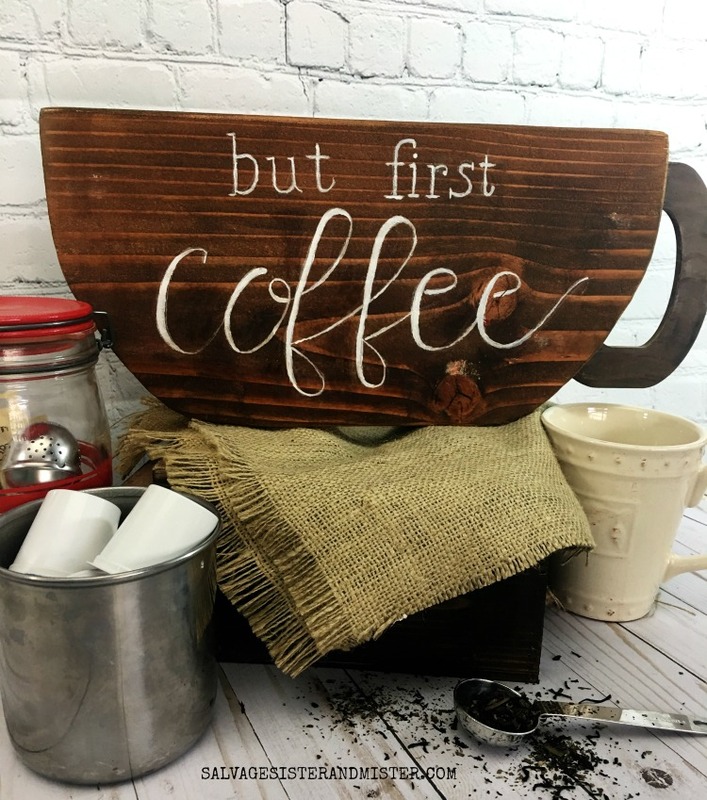 And for those of you who enjoy your liquid hug in the morning, this sign can be perfect for any coffee station. 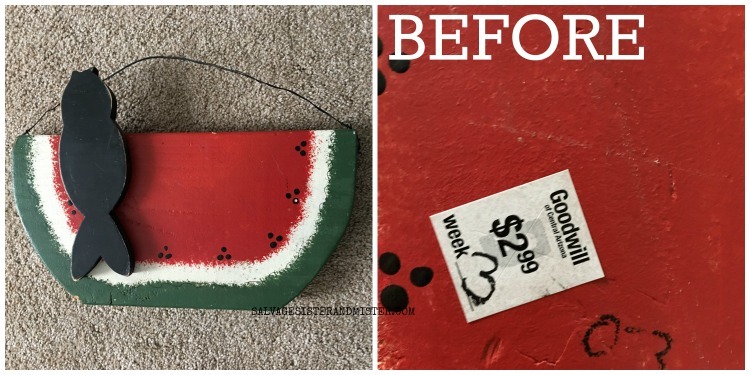 Don’t have a thrifted watermelon sign to upcycle? No worries! This project is just to get you inspired to see something discarded in a whole new way. 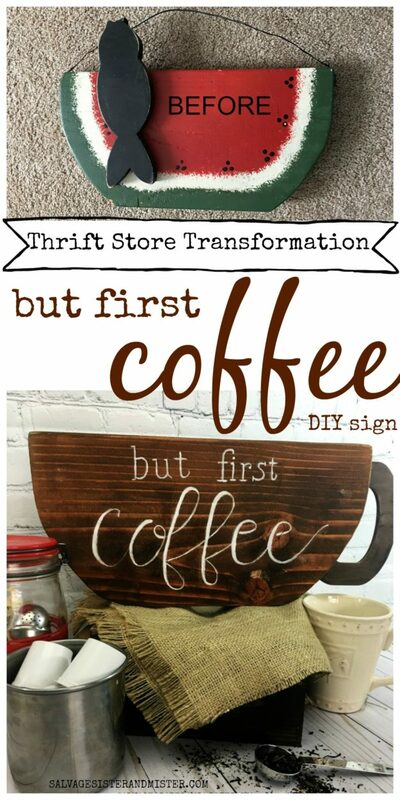 Maybe your But first coffee DIY Sign is something completely different at the thrift store. I love coffee, it’s my favorite drink and I have it everyday. I had to click as soon as I saw this. A coffee drinker will love this as a gift! I think my mom has a watermelon sign very similar to the one you used. Pinning! Jenny, I hope you get a chance to make one. I would love to see it if you do. OMG I would have never purchased that watermelon thing. Haha! My eye was drawn to the big coffee cup though. This is super cool. Michelle, Yeah, I wasn’t sure what I was going to do with it – original idea was to turn it into a wreath – and then the coffee cup came. Great re-do. I don’t even know what the original watermelon was, LOL! I agree, coffee must be first!! Visiting from Thrift Store Challenge. Victoria, Oh, you didn’t see the watermelon? It is right before the tutorial. Can’t begin my day without coffee! This is a perfect addition to any coffee bar. Love the total transformation. I won’t look at those thrift store watermelon sign the same now! 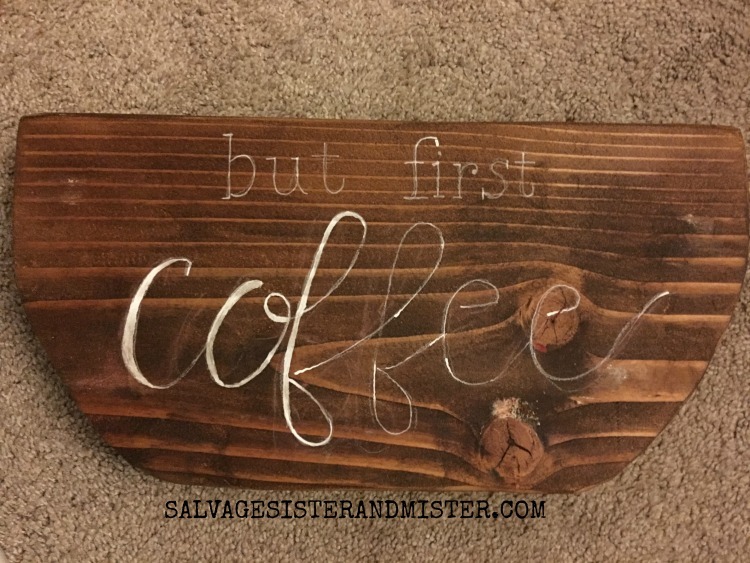 this will look good in my coffee shop!thank you so much for sharing this…looking forward to more concepts! This is amazing! I never would have seen a coffee mug! So creative! Michelle, Isn’t that what is so great – We all see different things in our items. This is the perfect touch to any coffee bar. I love the idea that you saw a coffee mug from a watermelon. The sign turned out great. Debra, Isn’t it interesting the projects we all come up with? It’s so great to see all the different ideas around. Thanks for stopping by! That is a mind-blowing transformation from the before to the after! You’ve done an amazing job. Very creative. Thank you for sharing. Habiba, That is so sweet. Thank you!!! 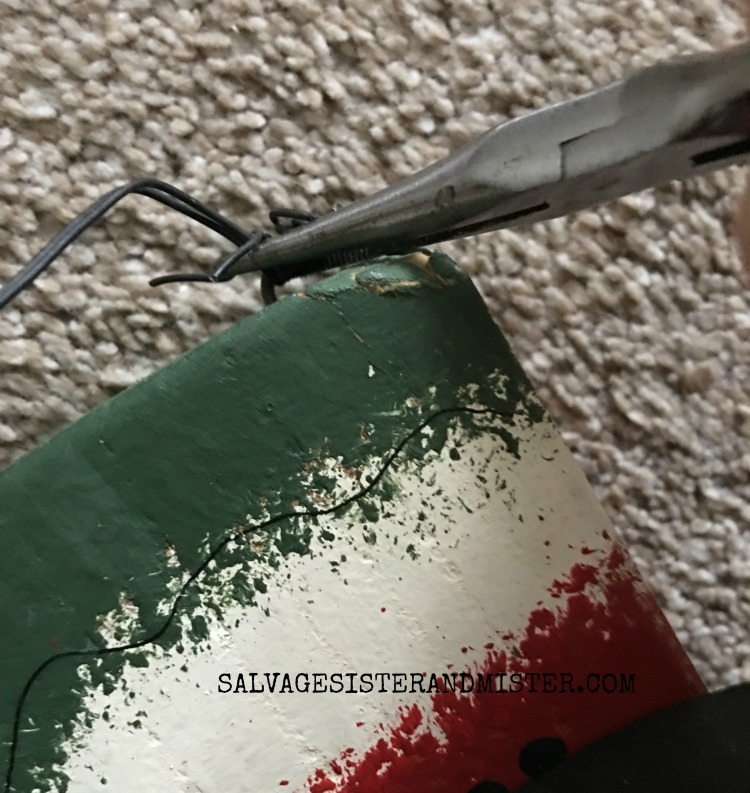 Great find for this makeover! Super cute sign! Thank you for sharing on Merry Monday! Hope to see ya next week! Kim, Appreciate you stopping by!! Nancy, Isn’t it great to DIY our own? I love this. You are very creative and talent. I love coffe, and go into withdrawal when I don’t get it in the morning. Yes, I know, I know, addict! I would lve to make this. Thank you for sharing.